You may have gone through it before – you’re just sitting down to dinner when the phone rings. 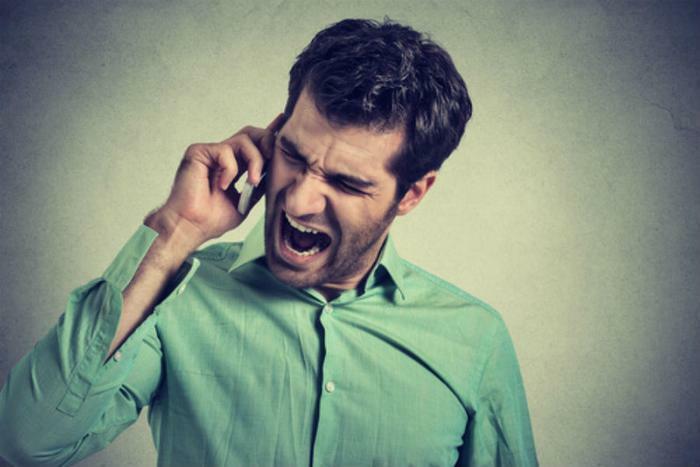 Many people can get very angry about telemarketer calls, and perhaps they have a point. What might be even more infuriating is when the voice on the other end of the line isn’t even human. Unfortunately, it looks like these unwanted robocalls are becoming more and more pervasive. The YouMail National Robocall Index (YNRI) estimated that somewhere around 2.3 billion robocalls were made in the U.S. in the month of January alone -- that comes out to 51,523 calls made every minute. The areas that received the most robocalls were Atlanta (44.4 million – 404 area code), Houston (36.3 million), Atlanta (33.6 million – 678 area code), Dallas (29.9 million), and Birmingham (25.7 million). The YNRI report goes on to describe just how many robocalls one person can expect to receive. “Roughly one in six phone numbers calling the average consumer is a ‘robocall’ – a telephone call made by a computerized autodialer to deliver a pre-recorded message or transfer to a telemarketer,” it said. While some robocalls are harmless, there are still others that will seek to defraud or scam consumers. “There are more than 80 million scam or fraudulent calls made each month in the United States, taking an estimated $8.6 billion from unsuspecting consumers and businesses last year alone,” the report said. This can take a toll on small businesses and government agencies. It is estimated that small businesses waste an average of 20 million hours every year responding to robocalls – a loss of $475 million in lost productivity. Agencies like the Federal Trade Commission (FTC) report that they receive 300,000 consumer complaints every month related to robocalls. The FCC says it gets an additional 18,000 complaints on top of that. While it may be difficult to completely avoid robocalls, there are certain steps you can take to give yourself a good chance at some peace and quiet. Don’t give out your number: Companies are always going to attempt to find new ways to get your phone number. If it can be avoided, never provide them with the information. Hang up the phone: If you are contacted by a robocall, be sure to hang up the phone right away. Do not push any buttons or try to navigate any call menus. Sign up for the National Do Not Call Registry: This free service allows you to be taken off of solicitor call lists. While it may not stop every robocall, especially if the service is illegal or looking to scam you, it does provide an excellent first line of defense. It is important to note that you do not necessarily need to be on the National Do Not Call Registry in order to get protection from robocalls. In fact, as of September of 2009, the FTC passed a rule that prohibited their use unless the consumer has given consent to receive them. Consumers may still give their consent without realizing it, but the rule has gone a long way towards cracking down on robocalls. In March of last year, the FTC and ten state attorneys took action against Caribbean Cruise Line Inc. in order to stop its robocall operation that numbered in the billions. The company ended up paying $500,000 for its transgressions. But despite efforts such as these, robocalls continue to be a problem. If you would like to stop receiving robocalls from a certain company, call its customer service number and make a request. If you continue to be plagued by calls after you’ve made a request, be sure to document each call’s date and time and file a complaint with the FTC.